Fact 1: Titanic was a ship built in the Harland and Wolff, Ltd. Queen Island shipyard located at Belfast in Ireland. The planning for building Titanic started in 1907, and the actual construction went on from 1908 till 1912. Fact 2: Harland and Wolff were involved in constructing White Star Line ships from 1869 till 1919. They were entrusted with this project based on their past experience in building ships. Fact 3: The Titanic was constructed according to the formula called Siemens-Martin steel plating applied to the entire shell as well as the other exterior areas. The material is of a high quality and resists corrosion. The workers call this steel type as having battleship quality. 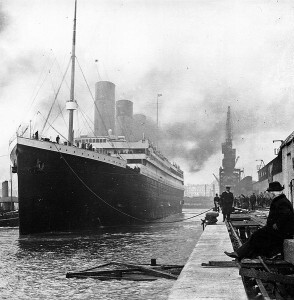 Fact 4: Â The Titanic was launched successfully on May 31, 1911. It was finished and handed to the owners on the April 2, 2012. Fact 5: Captain Smith was the Captain of Titanic in its maiden voyage. He had 25 years of experience as Captain and was 59 years old when he was made Captain of Titanic. He was blamed for the sinking of Titanic. He seems to have ordered the crew to save themselves before Titanic sank. He arranged for band play to keep the passengers cool. Some survivors stated that they saw Captain Smith saving a child from drowning and helped her to reach the life boat. He himself went into the waters along with the ship. Fact 6: There were 2200 people in the ship belonging to various communities. There were heroes, criminals, heroines, rich and famous people, and animal passengers in Titanic. Fact 7: Titanic is built in such a way that all its compartments are water tight. The captain has the option of closing all the doors completely if the ship faces with any accident. In case the doors are not dropped by the captain, floats lift automatically when water enters and in turn close the doors if they are not closed by captain. Titanic was termed as ‘œunsinkable ship’ though it did meet with the accident.